This is the first picture taken on my new digital camera! 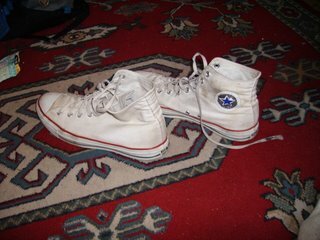 Ill call it "My dirty sneakers". So beings a new era on the Pyewacket blog. I had a great Birthday, and treated myself accordingly. My Shipwreak pay came on the day so i ran around spending what i had. Ok, time for a a hypno session!